For college and university students, graduation often comes with mixed emotions—exciting yet intimidating; rewarding yet confusing. Even if you found your calling and made lifetime friends at school, what will those things look like after you are no longer a student? 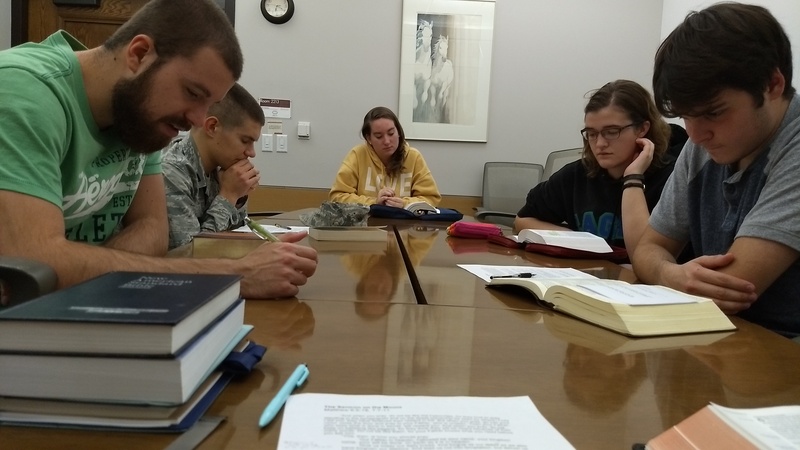 At Iowa State University (ISU) in Ames, Iowa, Tyler Helfers works to help answer some of these questions from a Reformed perspective. And you have joined him through your support for Resonate Global Mission. As a CRC campus ministry leader there, Tyler recognized that, much like the classes that students are taking, campus ministry should prepare students for life during and after graduation. That’s why he wanted to start new leadership training program—Areopagus Leadership Training Initiative—this school year. With help from Resonate Global Mission, Tyler has already equipped the first students to go through the program, including Ben. A sophomore engineering student, Ben was seeking a better understanding of his new Christian faith. On one of the first days of the new school year, he rode his bike to Iowa State’s nearby church, Trinity CRC. Although Ben was still new to the campus ministry, Tyler encouraged him to apply for the ministry’s leadership training program. As part of the program, Ben met one-on-one with Tyler for mentorship, taken on an active role in Trinity’s worship services, and Ben also met with an engineer who shared how he brings his Christian beliefs into his everyday work. Although he still has two more years of school at ISU, Ben is already thinking about how he can continue to develop his understanding of the Christian faith both on and off campus. “Areopagus has forced me many times in a week to think deeply about not just what, but also why I believe what I believe,” said Ben. Thank you for supporting new initiatives like this leadership training program at Iowa State University. Your gifts are helping to train our church’s next generation of leaders in the church, on the mission field, or to whatever field is calling them.